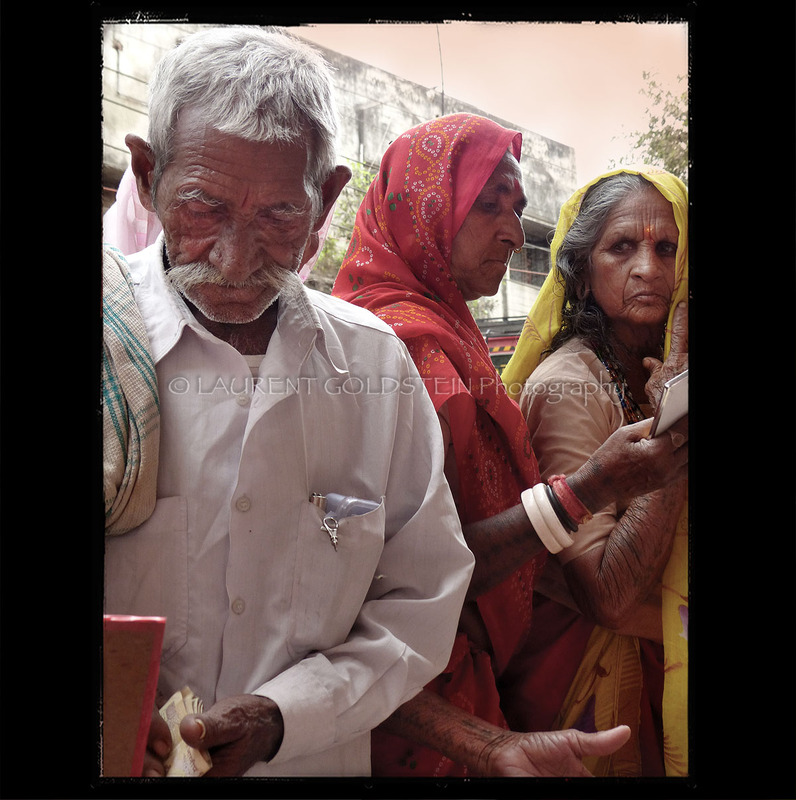 “There is a special spirit among people who call themselves Banarsis, whether they are rickshaw-pullers, merchants in the market, or the old aristocracy. It is an art of living, both passionate and carefree. They call it masti (“joie de vivre”), mauj (“delight, festivity”), and phakkarpan (“carefreeness”). It is the exhilaration and drunkenness of Holi, the extravagance and culture of Burhwa Mangal, and the glitter of Divali. 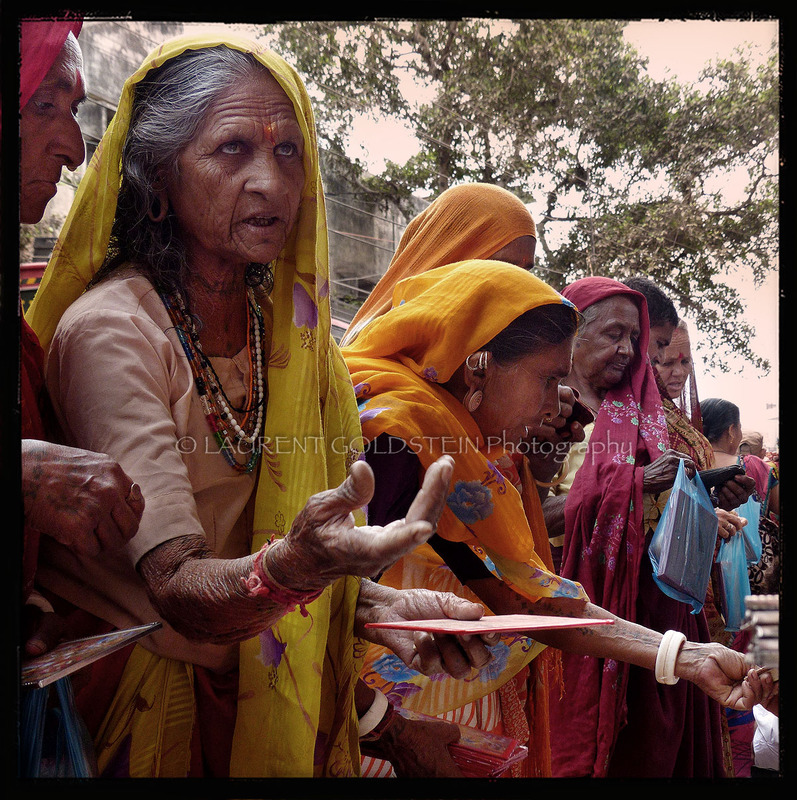 These ladies were bargaining religious accessories sold in front of the Swami Narayan Mandir (temple) in Varanasi (Benaras). “Brahma once weighed the heavens against Kashi. 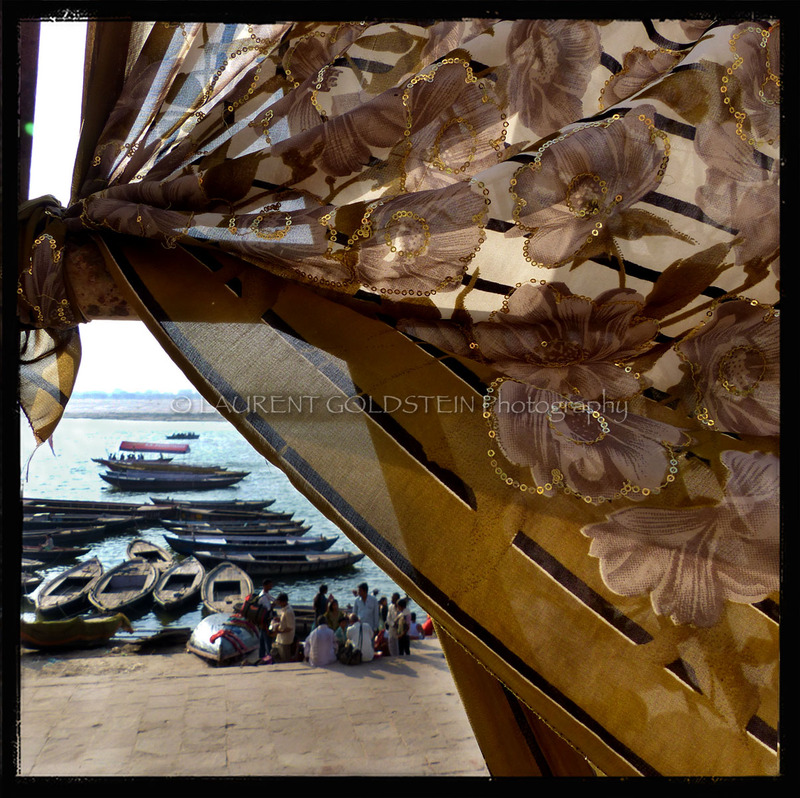 A view of the Ganges through a silk saree drying under the morning sun at Rajendra Prasad Ghat in Varanasi (Benaras). “Kashi outweighed the heavens because the whole cosmos is contained within its five Kroshas. All that is auspicious in creation is here. All that is powerful and sacred is here. All the 330 million gods are here. All eight directions radiate from here. All time is born here. 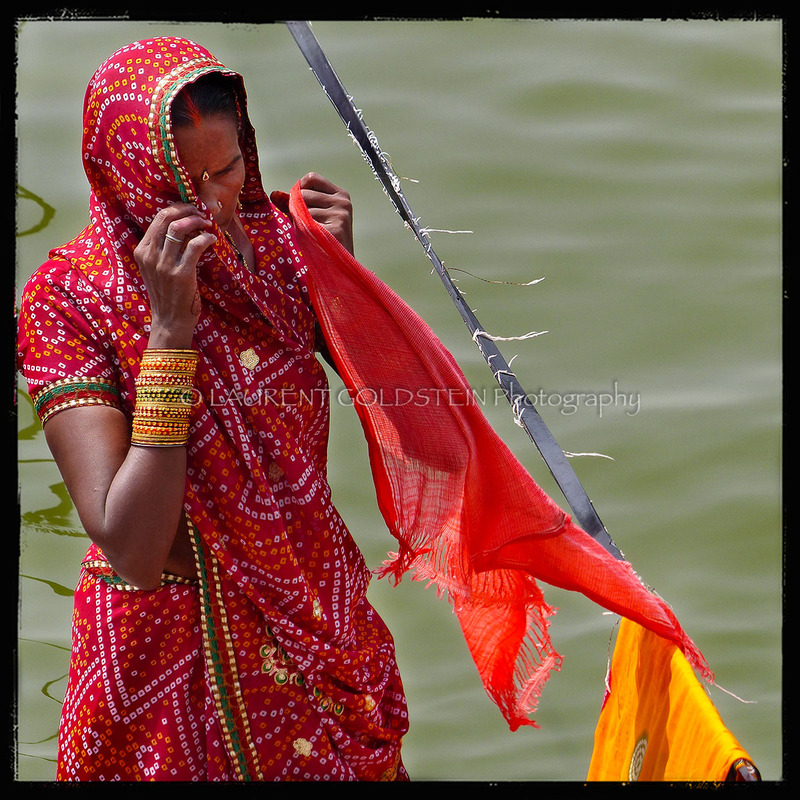 Yet, though Kashi forms the heart of the mandala of creation, it is above it.